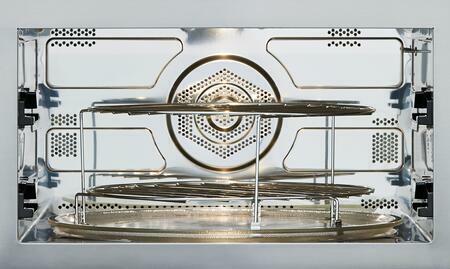 Combines the power of microwave with convection and broil capabilities in one easy-to-use appliance. 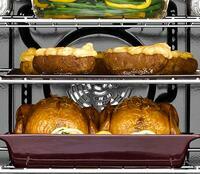 Use the modes separately or in combination to prepare a wider variety of foods in reduced time. Spend less time waiting. The infrared broil elements efficiently readies the oven then masterfully produces golden brown exteriors and juicy interiors. 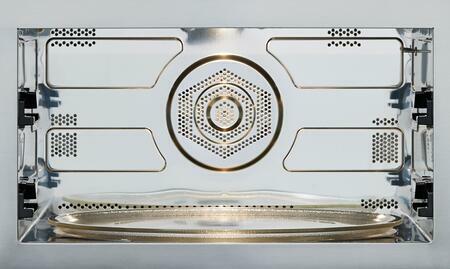 Fit large or small items, even a 9-by-13 pan, in the roomy 1.6 cubic feet stainless-steel interior. 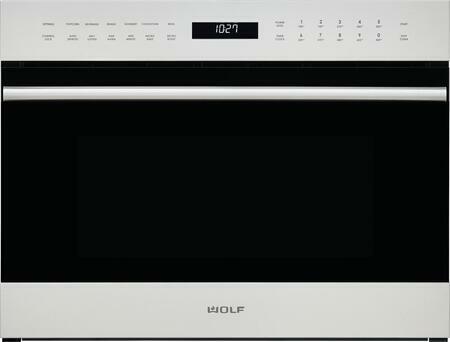 Coordinate with M series ovens and other Wolf built-in appliances. Various handle and trim options create a consistent, sleek look. Frees up counter space and the drop-down door design integrated seamlessly into any kitchen design. 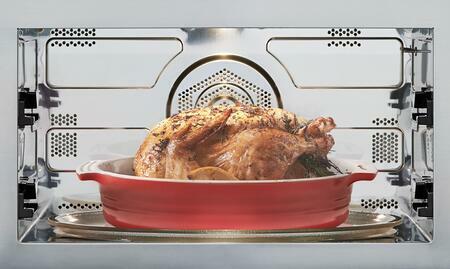 Keep cooked food at its delicious ready-to serve temperature for up to 90 minutes. Take the guesswork out of cooking with broad range of quick-start options and modes, including Soften, Melt, Reheat, Defrost, Micro-Bake and Roast, and Popcorn. Illuminates food while in use, so there is no need to open the door and interrupt the cooking process. Controls heat and airflow with professional precision, with a fan circulating hot air from a heating element at the back of the oven. 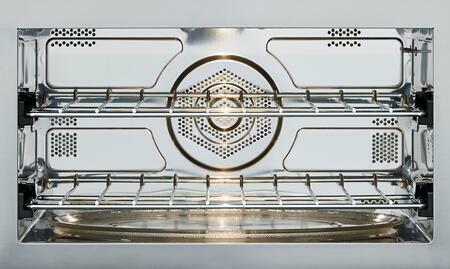 Every part of the interior enjoys more uniform heat, for more consistent results and browning.